I was so upset this morning when my donut recipe failed. I had to make something to cheer myself up. 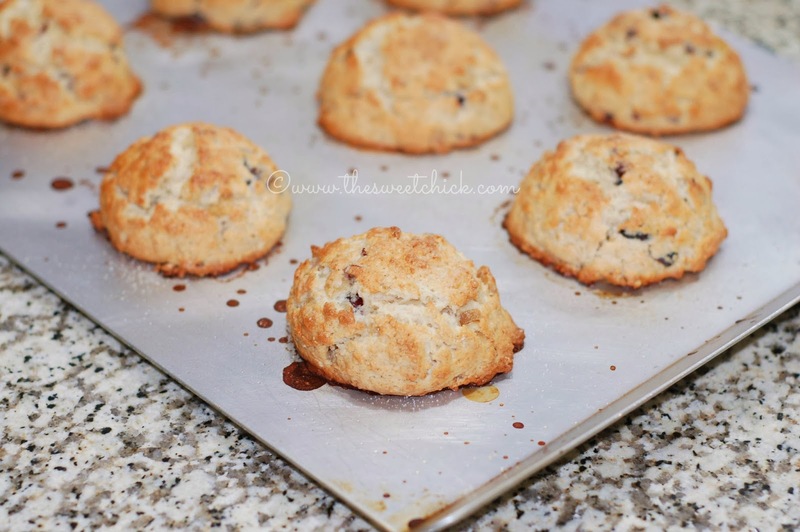 Scones are so easy to make, they seemed like a reasonable solution. I scoured the pantry for what to put in them. 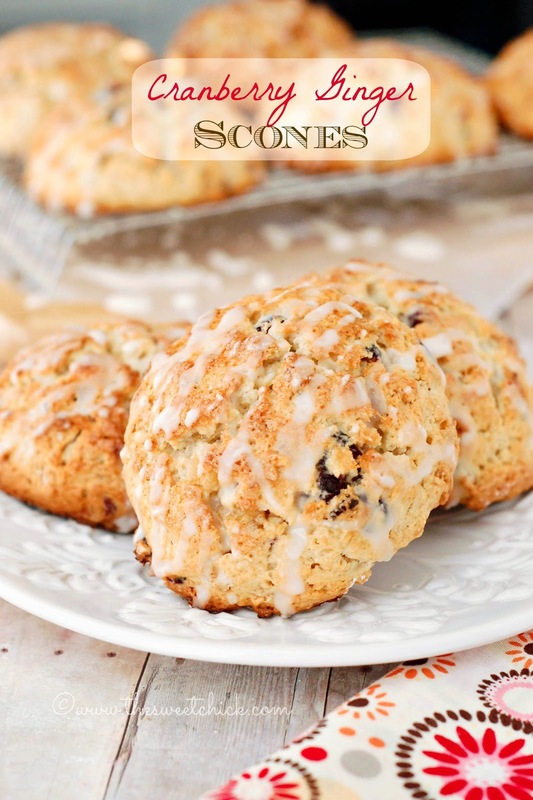 I have made a variety of scones in the past, Maple Bacon Scones, Lemon Cranberry Scones, Biscoff Chocolate Chip Scones, Mini Maple Strawberry Chocolate Chip Scones, Dulce de Leche Stuffed Scones, etc. The flavor combinations are endless. I had some leftover crystallized ginger chips that I used in my Pumpkin Gingerbread Cupcakes. These chips have a little bit of sweetness and a lot of ginger sassiness. They add so much flavor to baked goods. I have never mixed ginger and cranberry before, but I like to take risks. I also added some honey for extra sweetness. 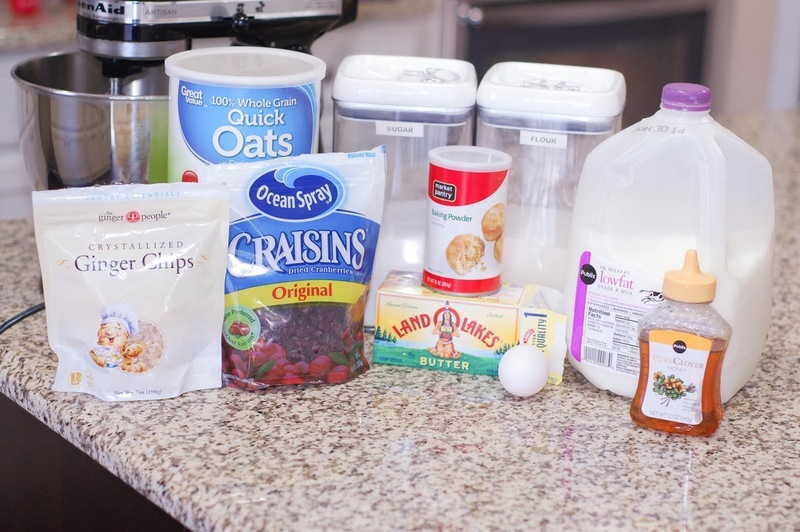 For a little texture, I threw in some quick oats. Sometimes I roll out the dough to make triangles, but today I was already frustrated, so I kept it simple. I grabbed the biggest scoop I had and just placed the scoops onto a cookie sheet. I wanted to add a little sugar coating to these, so I brushed the dough with milk and sprinkled them generously with sugar. These scones came out looking perfect. The were a nice golden color. 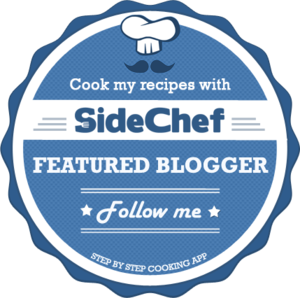 (Be careful not to burn yourself on the hot sugar.) I love the way they cracked. You can see all the nooks and crannies. I couldn't wait to try one. But I had to add just one more thing. A little bit of glaze. I didn't want a heavy glaze, just a drizzle to finish off these beauties. I love how the outside is a little crispy from the sugar, but the inside is soft and fluffy. The ginger and cranberry DO taste amazing together. And the honey was the perfect choice for that added sweetness and it doesn't compete with the other flavors. 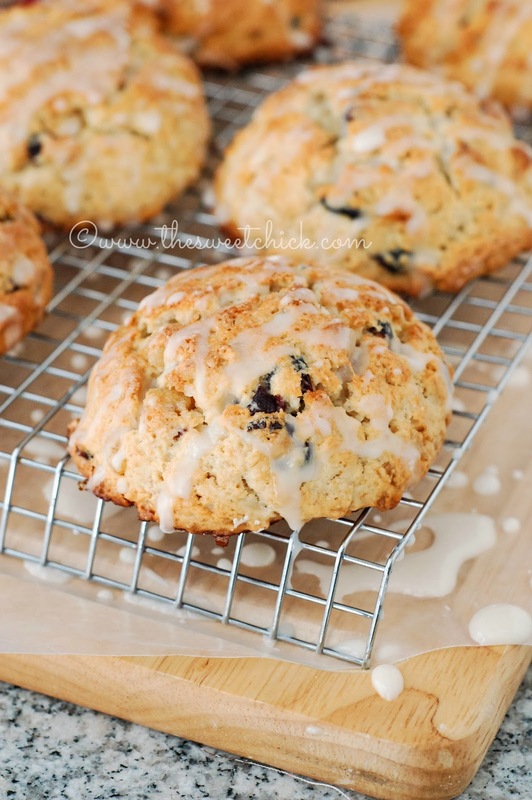 I am definitely using honey again in my scones. 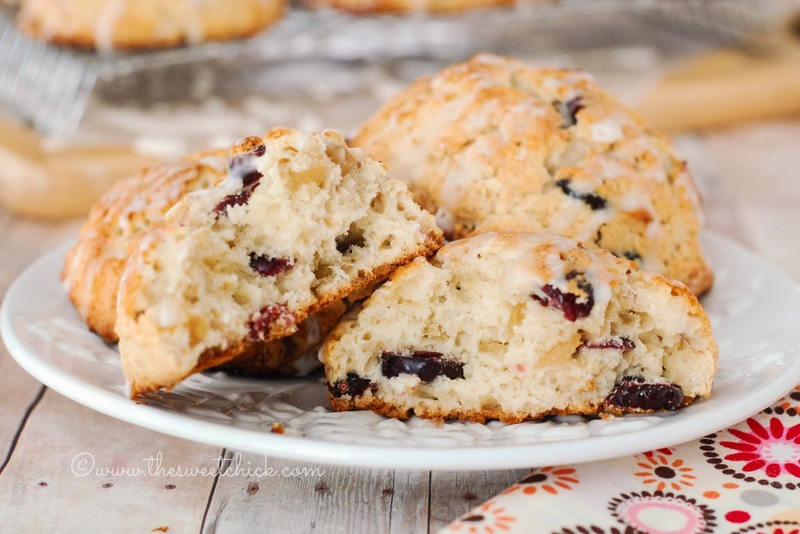 These Cranberry Ginger Scones just made my day. I can now forget about my dry donuts that stuck to the pan and took forever to clean. 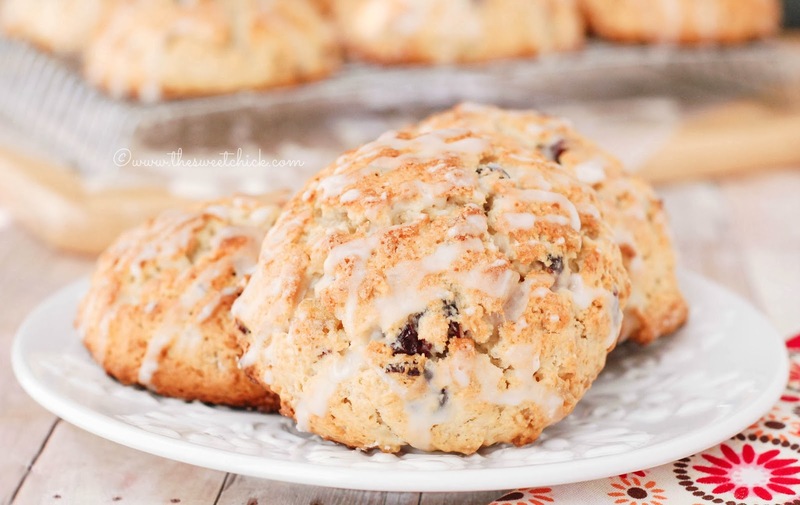 I am going to go dip my scone in my coffee now and think happy thoughts! 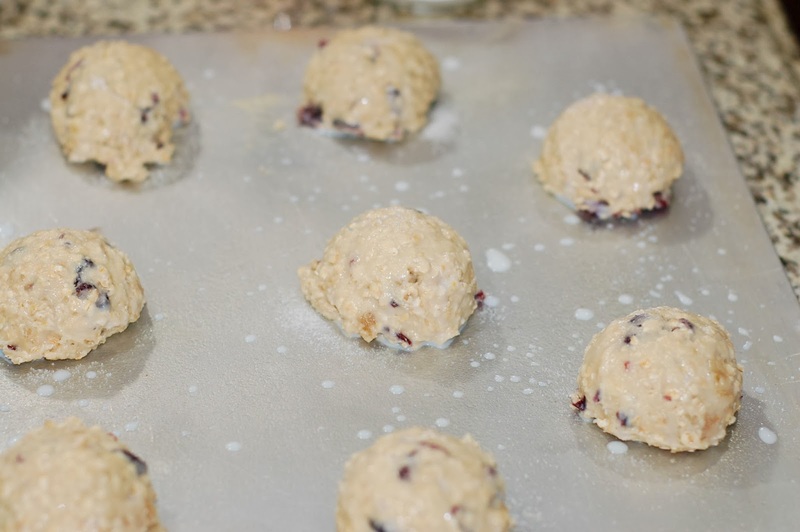 In a stand mixer, mix flour, sugar, baking powder, oats, cranberries, and ginger chips. Then add honey and mix on low speed until fully incorporated. 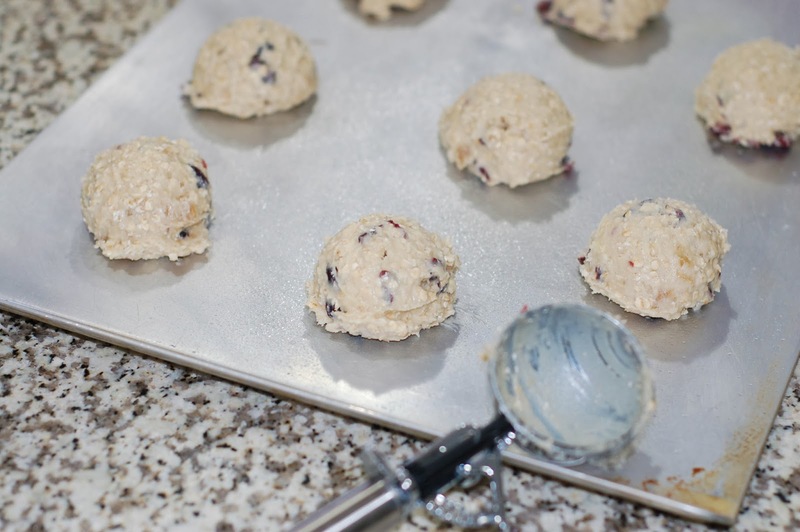 The batter will be a dough like consistency. In a small bowl whisk together powdered sugar, milk, and vanilla until smooth. You really do Linda! I just made another batch.